This is a black 50 foot heavy duty power extension cable. This power cable features the NEMA 5/15P (male / standard three prong) power plug to a NEMA 5/15R (female) power cord. Use this cord to extend an existing outlet or cable. The jacket is durable and long lasting but flexible enough to wrap in tight spaces. The 14 AWG (American Wire Gauge) pure copper conductor transfers maximum power. 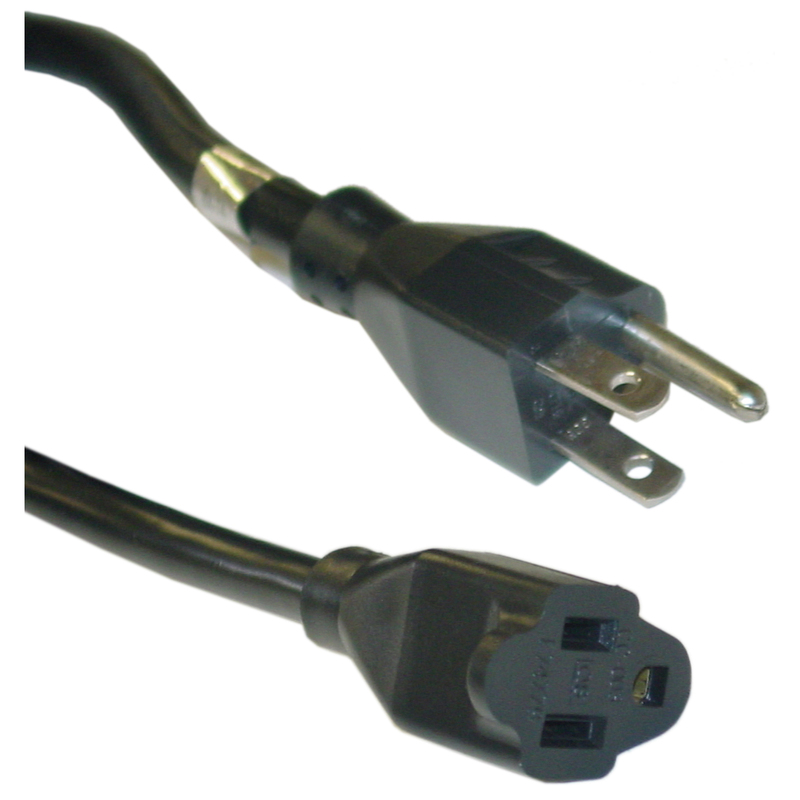 This cable operates on 125 volts / 13 Amp power with a max of 300 volts. Operating temperature is 105C/221F.